During the Q&A section of Motorola's Moto 360 Hangout today, a few interesting questions surfaced. In typical industry fashion, however, Motorola wasn't quite ready to give any sort of definitive answers on many of them. Still, there were a few small gems in the mix, including a big one on everyone's mind: will it work with all Android devices, or just those manufactured by Motorola? The answer was very clear: it will work with all (assumingly current) Motorola devices, as well as all others running Android 4.3 and above. 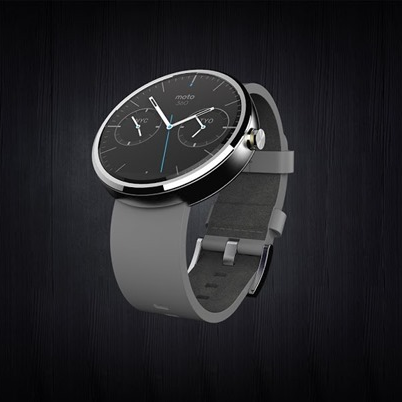 So there you go – it doesn't matter whose phone you're using, if it's running 4.3 or higher, Moto 360 will work with it. That's awesome. Aside from that, there were a few other, more minor, bits of information thrown into the mix like "will it be waterproof?" The answer there was a bit more vague – yes and no. Apparently it will be splash-proof, though Motorola wasn't ready to commit to any sort of quantified measurement at this time. Then there's the question of charging. Interestingly enough, it was pointed out that the 360 doesn't have any sort of charging port, and Motorola was absolutely ambiguous with the response. Basically, the 360's charging solution is still up in the air. We're willing to wager that it'll be some sort of inductive charging, but we've seen some suggestions that it may be solar or kinetic (both of which are highly unlikely). There was also some talk of customization, bands, and more in the Hangout. If you missed the live stream, the video is already live, so you can catch the replay above.